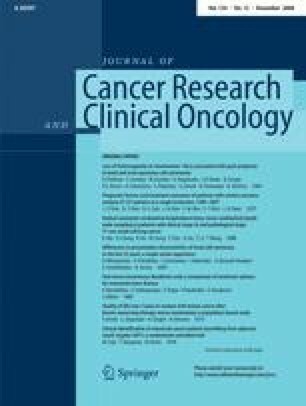 Preclinical models showed TAC-101 (4-[3,5-bis(trimethylsilyl) benzamide] benzoic acid), an oral synthetic retinoid, has anti-tumor activity in hepatocellular carcinoma (HCC). A phase I/II study was performed in advanced HCC patients (pts). Thirty-three patients were enrolled. During Phase I, pts received 40 mg daily for 14 days q3 weeks; 2 of 5 patients developed DLT so dose was reduced to 20 mg/day. Twenty-eight patients received 20 mg/day. No pt had a CR or PR, but 12 of 21 (57%) had SD. Two pts (9.5%) had late PR after discontinuing TAC-101. Median survival (MS) for all 28 pts treated with 20 mg/day was 12.7 months (95% CI 8.8–22.7); MS for 21 evaluable pts was 19.2 months (95% CI 10.4–27.6). 20 mg of TAC- was well tolerated. Significant disease stabilization (12/21 pts, 57%), 2 late PRs, and prolonged MS (19.2 months) suggest that TAC-101 provides meaningful patient benefit.